Homeland finale predictions: Our best guesses. Will Brody Die? Is Carrie the Mole? Is It All a Dream? Which one of our outlandish predictions for the Homeland finale is the correct outlandish prediction? 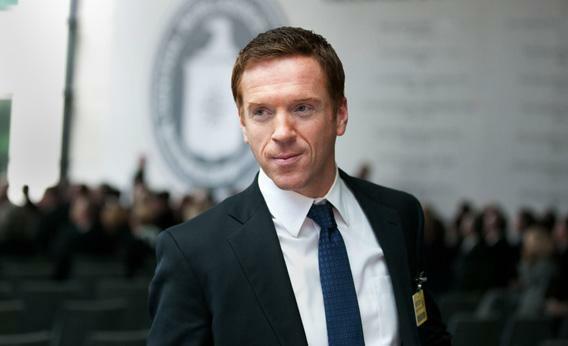 Damian Lewis as Nicholas “Nick” Brody in Homeland’s season finale. One critic likened Season 2 of Homeland to an extended game of Mad Libs, so implausible were some of its plot twists. As the final episode approaches, we asked Slate writers and the folks who took part in the Homeland TV Club to offer their predictions for what will go down Sunday night. We also plucked a couple of smart suggestions from the Internet. Could the big bad be a character you never thought of? Carrie is the mole. That’s what Estes says, anyway, creating a convincing narrative: Carrie and Brody became terrorist sympathizers. Carrie and Brody are framed for Walden’s death. Carrie’s history of mental illness—manifested in erratic behavior, insubordination, and suspension—plays in. Her obsession with Nazir evolved into admiration. Estes says she was a complicit prisoner. Estes leaks Brody’s video and other evidence that golden boy Brody is a conspirator. Brody’s family doesn’t know any better. The only person who knows otherwise is Saul, but Estes saw to it that he was discredited. Carrie—having almost singlehandedly taken down Abu Nazir and made the world safer for democracy—is in good standing now, but she’ll be back in hot water with Estes and rest of the CIA guys as she enables Brody on the run. Look to Carrie to pillage the agency disguise shop and manufacture a full deck of alias docs for the guy. Also, as much as I love Saul—who reminds me of some likably intellectual uncle I’d encounter at a relative’s bar mitzvah—there is definitely something up with him, something sinister, that we’ve yet to find out. I mean, come on; every time Saul questions a terrorist, that person ends up killing himself in short order, with a conveniently procured homemade weapon. I believe it was Season 1 when we saw Saul’s polygraph blip when asked directly by the polygraphist if he’d provided the razor blade to a terrorist who committed suicide while in custody. Maybe Abu Nazir’s plot isn’t finished yet! Or maybe everyone’s wrong about everything! Please add your own theories in the comments below.